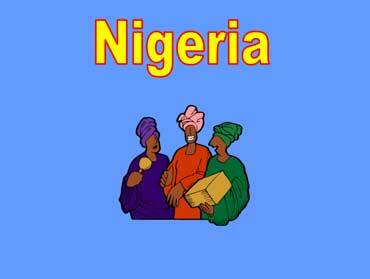 Nigeria is located in Western Africa. The clothes in this picture are very colorful. 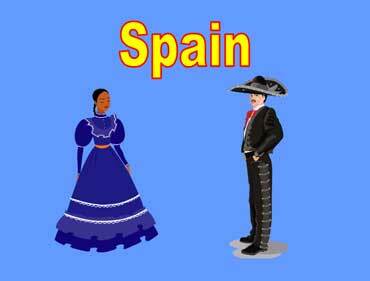 Spain is in Southern Europe. The man and woman in this picture are wearing dancing costumes.